DC Comics have released this weeks digital comics available for your iOS and Android device – and online! 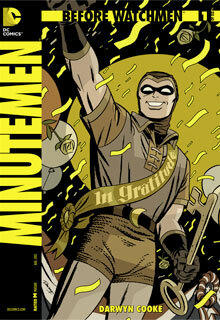 Darwyn Cooke brings readers the tale of the Minutemen. Formed in 1939 by Captain Metropolis and Sally Jupiter, the team brought together some of the most well known crime-fighters of the era. But public glitz and glamour only hide the grim and gritty reality behind the masks. Digital First, Special Thursday Release! *Digital First, Special Monday Release! *Digital First, Special Tuesday Release! *Digital First, Special Thursday Release! All DC COMICS — THE NEW 52 titles are available digitally and in print at the same time. Go to readdcentertainment.com to find your local comics shop!